Driftwood and other Flotsam talked about forgiveness and how, like pieces of driftwood, our hurts may need to be thrown back out into the surf many times before they finally go away. The day after posting that article, I was walking around Lough Derg (in Dromineer, Ireland) and came across this. 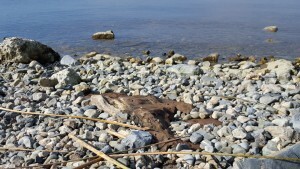 This is a piece of driftwood that has become stuck in the sand and rocks around the water. Lodged driftwood. These are those things that we fail to throw back into the sea. The driftwood scars the shores of our heart. As time passes, the water and sand smooth over the wood until it develops a nice patina and it doesn’t look so bad anymore. The rough places have been worn off and it doesn’t even bother us on a daily basis anymore. But, just as a storm can reshape the shore, a big event in our life can cause the driftwood to come loose a little and shift around. One day, after having stepped over the driftwood (sometimes for years), it catches our foot and we stumble…or worse…we fall. That thing we thought we had put behind us has just jumped up and gotten us. No matter the details, for a moment, we are right back in the moment. The moment that someone did something to us. Or that particular moment of anger…of fear…of shame. And, in that moment, it consumes us and pulls us right down into the mud. 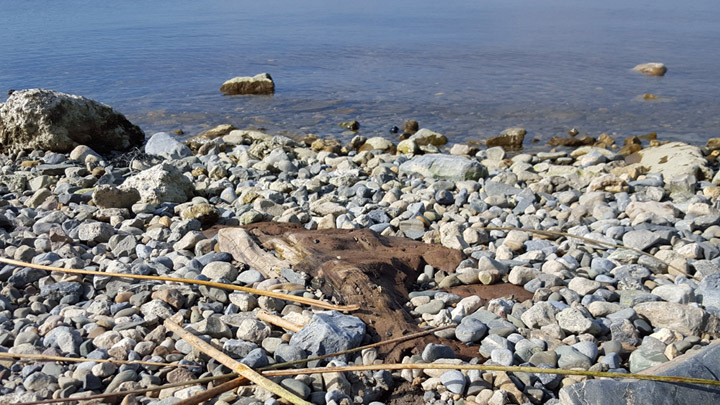 The thing is, the driftwood was there all along. We could see it. Sometimes…everyone could see it. Just because it wasn’t actively hurting us didn’t mean it wasn’t littering our hearts and minds. It was a dormant threat. And, like the driftwood, it was just there. Responding to the changes in our own life. It doesn’t have a life of its own. If we don’t take care to clean our hearts and minds, to make it a habit to forgive and let things go, we will end up with littered beaches that are impossible to pass. If we pick things up from time to time, it will be a lot easier to clean up after the next storm hits. Who Does Anger Really Punish? The Value of Changing Your Context?